There’s a History and Almanac section that keeps track of all the weather records for your area, where I just learned we are .39″ ahead of normal precipitation for the year, but 5.12″ behind what we had gotten last year by this time. (We had gone through quite a dry spell, but in the past week and a half have apparently made it up. Thank God.) There’s an astronomy section that tells you the times for sunrise and sunset, and how many minutes of daylight less you will have tomorrow (sigh), as well as the moon phase. But my favorite part is the Personal Weather Stations section. I may not own a fancy weather station, but I can take advantage of everyone else’s. Since my zip code more accurately reflects the location of the post office that delivers my mail than my true physical location, these personal weather stations provide data for truly local weather conditions. You can even see their locations on a map, and determine which is closest to you. The data includes the dew point temperature, which, as readers of A Gardener’s Guide to Frost know, can be critical for determining if it will frost on some questionable autumn night. You can view historical data here as well, and even download it in a comma-delimited file, which can be imported into a spreadsheet. I just noticed that you can put a weather sticker for any of these stations on your website, so if, like me, the “official” weather for your zip code doesn’t always bear much resemblance to reality, you can have the real deal displayed instead. I’m always discovering something new on this website. Why, just today I learned there were two earthquakes on Monday, just 90 miles from me. How about you? Do like to record weather data? What weather website has the most accurate forecasts? Can I have a koi pond in the Upper Peninsula? I have a big raingauge with a floating marker in it. An electronic one would be nice. I like the thermometer I have because it allows m eto see the temp outside and in the greenhouse while I am sitting at my desk but it has this other stuff like the heat index and a “forecast” that are meaningless. I wish they would have just added a memory feature so I could check the temps for the last week. Kathy, I also grew up in suburbia, but with weather-watching parents… they would have been thrilled to meet a old TV Weatherman like Chicagoan P J Hoff. With resources like the Weather Underground on our desktops, I’ve become less likely to record anything except unusual temps or rain on the kitchen calender. We have a raingauge and several indoor/outdoor thermometers and would like a weathervane. But that would be more decorative than functional! Oh – I bought my rain gauge at the Phoenix Desert Garden on one of my business trips. Since I started adding these garden tours to my business travel itineraries, my quality of life (and cool garden stuff) has improved tremendously. Yes, that “response is on my own website” feature is pretty cool. I really do love SquareSpace. I recently tried TypePad for a business-related blog I’m putting together for a project. Wow. SquareSpace is so much better. If anyone is interested or has questions, write me. All this has got me to wondering if I really should record the weather. I mean, I am constantly complaining about this darned drought. If I had actual records, I would have more of a platform to whine from, right? BTW, I am just back from Chicago where I visited the Chicago Botanic Garden. There doesn’t appear to be any drought there. Everything was beautiful. And green. And no weeds. Photos are up and I’m reporting in the next couple of days. Whew! Did I learn a lot! Oh, but can we swap weather for a little time? We have had way too much rain this summer! Send some of the sun this way, please! Carol, let us all know if you find some other feature of Weather Underground that I didn’t mention. Layanee, if you decide to get a rain gauge, just remember a pretty one works just as well. For that matter, an inexpensive one works just as well as an expensive one. I think I bought mine from a hardware store that was going out of business. There’s nothing like 70% off to make you decide you really need one. But what you really need to know is that I left my previous rain gauge out all winter. Water collected in there (yes, that’s the point of them), froze, and cracked the rain gauge. Then it only held water in the part above the crack, and didn’t work very well anymore. Now I find I put my rain gauge out about the same time I put out my bird bath, at the same time wondering what use is a summer-only rain gauge. Zoey, I don’t have time to record the weather either. I feel very fortunate to have a daughter who makes time to record the temperature and general weather conditions in the ten-year garden journal I have from Lee Valley. But that’s what I like about Weather Underground. It keeps the historical data for you. Oh, Robin, I found your post light-hearted and thought provoking at the same time. As a matter of fact, this post started out as a comment on yours. At some point I muttered to myself that my comment was turning out to be as long as some blog posts, and then realized it was a perfect opportunity to try out that “My response is on my own website” feature. I think it is a vast improvement over trackbacks and I continue to be impressed with Squarespace, your blogging software. And you have a much nicer rain gauge. MSS, I have often thought about my weather oblivion as a teenaged resident of suburbia and my sensitivity to the implications of weather conditions now. What made last year a bad one for squash, and this year a good one for them? Why did my catalpa die to the ground, when the winter was milder than the previous one? And the larger implications for the economy when the soy or corn crop is affected by drought, or the citrus crop by a freeze, are usually glossed over by the media in favor of more exciting news. We are quite insulated and separated from the natural world around us. 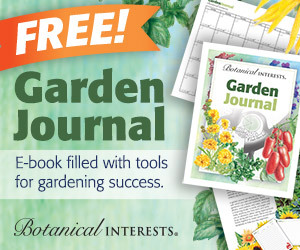 I record high/low temperatures in my garden journal. I like to compare year to year at a glance and I have 6 years and counting to compare. I get the info from the newspaper. I have a cheap rain gauge and used to have an outdoor thermometer but I could never get it placed to give an accurate reading. I need to check out the Weather Underground site now. I guess I now need a rain gauge. I wish I were a weatherman. Six figure income and wrong most of the time! I don’t record the weather. I have no time to keep track of it, so I just take each day as it happens. I do, however, know of Weather Underground. I use it now and then just to check the daily weather. Well, I suppose my efforts at using hyperbole for humor failed. A lot of my gardening journal is made up of reports on the weather and the corresponding complaints about it. Annie of the Transplantable Rose turned me on to the Weather Underground. Unfortunately the station closest to me is across the river and the river make a difference. Throughout Austin rainfall totals and temperatures vary quite a bit–so much that when the official station moved to the airport in far southeastern Austin, they continued to keep records in central Austin to keep some continuity. Weather geekiness is a great benefit of gardening–reintroducing ourselves to the rhythms and patterns of nature that our forebears understood but that we’ve mostly forgotten.